Back up softwares for Linux are not a rarity and there are quite a number of them available for free to download and use. And this is probably because, Linux is mostly used as servers which apparently has the highest need for tools to backup and similar. 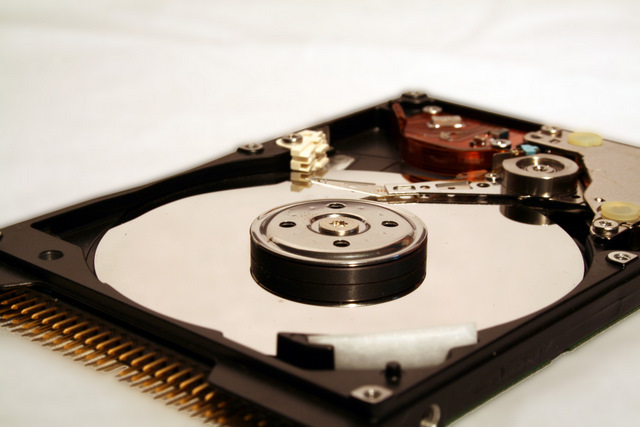 Here is our compilation of 5 awesome back up softwares for Ubuntu and Linux. 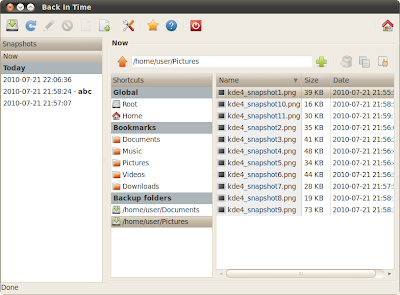 Back In Time is a simple backup tool for Linux inspired from Flyback and TimeVault, two other awesome back up softwares that we will discuss below. Back In Time focus on integrating the best of Flyback and Time Vault and create the ultimate back up software for Linux. The backup is done by taking snapshots of a specified set of directories. 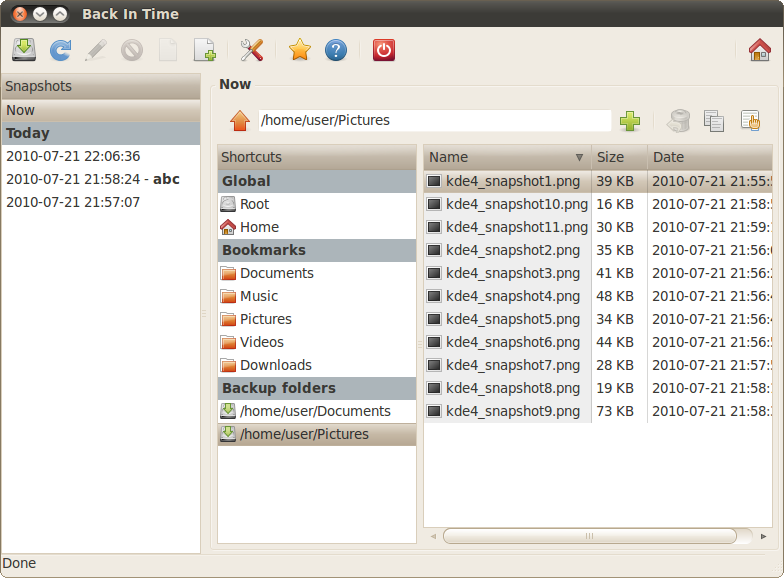 And there are two versions of Back In Time available for download, one optimized for GNOME and the other one for KDE. Back In Time is available at Ubuntu Software Center for free to download and use. More info on Back In Time. Lucky Backup is an application that backs-up and/or synchronizes any directories with the power of rsync, another simple backup tool. Features include backup, safety, synchronization, exclude/only include options, allows custom rsync options, remote connections, restore and dry-run operations, scheduling, profiles and command line mode. LuckyBackup was placed 3rd at 2009 sourceforge community choice awards as a "best new project" and was also the highest rated application at kde-apps.org during period 2008-2010. luckyBackup is available for download at Ubuntu Software Center. More info on luckyBackup. 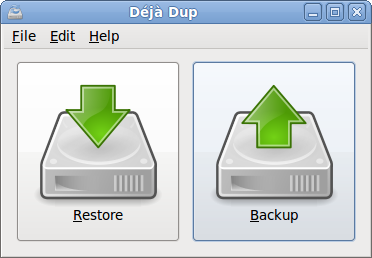 Déjà Dup is a simple backup software for Linux. It hides the complexity of doing backups and uses duplicity as the back end. Déjà Dup has support for local or remote backup locations, including Amazon S3 and also does secure encryption and compression of your data. Déjà Dup is available for free download at Ubuntu Software Center. More info on Déjà Dup. 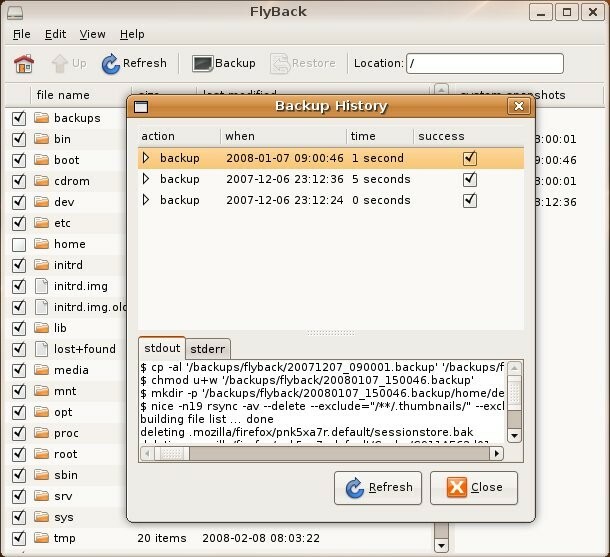 FlyBack is an open source back up tool for Linux which is originally inspired from Apple's backup tool called Time Machine. According to the developers, Linux has almost all of the required technology already built in to recreate Time Machine and FlyBack is a simple graphical user interface(GUI) to make it look good and easy to use. You can download FlyBack for Linux from here. Visit FlyBack project website also. Hope you all finds this post helpful. Meanwhile, you could find a bunch of other backup tools for Ubuntu by simply searching for 'backup' in Software Center, which include useful 'Sbackup' and 'Keep' backup applications. Also read top 5 multimedia apps for Ubuntu.